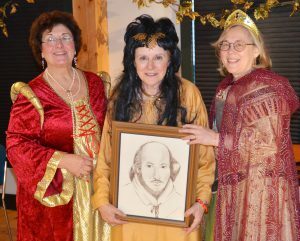 The Shakespeare Club of Grafton is for residents in and around Grafton, Massachusetts who enjoy reading and learning about the works of William Shakespeare. Meeting twice a month from mid-September to mid-May, we are brought together by a love for the wit and ribaldry, but also for the timeless exploration of the human condition, which can be found in the Bard’s plays. Twice-monthly meetings to read plays. Annual Shakespeare’s Birthday party and Welcome Back party. Field trips to productions of Shakespearean plays. During the course of each year, we choose several plays to read aloud during our meetings. 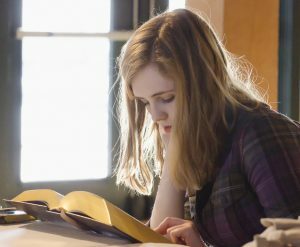 A volunteer Producer researches each play, to tell us more of its background and meaning at the beginning of our reading. Then, taking on the parts assigned by our Casting Director, we read the play as best we can. A typical play takes three or four meetings to complete, depending on its length.